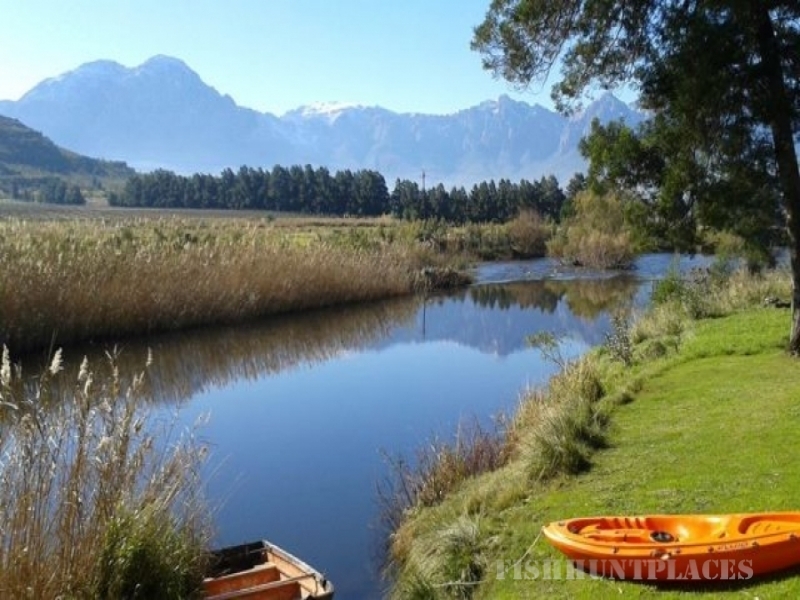 River Edge Accommodation is central to interesting towns Ceres, Rawsonville, Tulbagh, Wellington, Wolseley and Worcester situated in South Africa, Western Cape Province, Breede River Valley, In the most tranquil surroundings, you find this working wine and blue berry farm at the foot of the Limietberg mountains, right on the edge of the Breede River. Expect to experience old fashion farm hospitality at its best! We are one hour’s drive from Cape Town and 111 km from Cape Town International Airport. 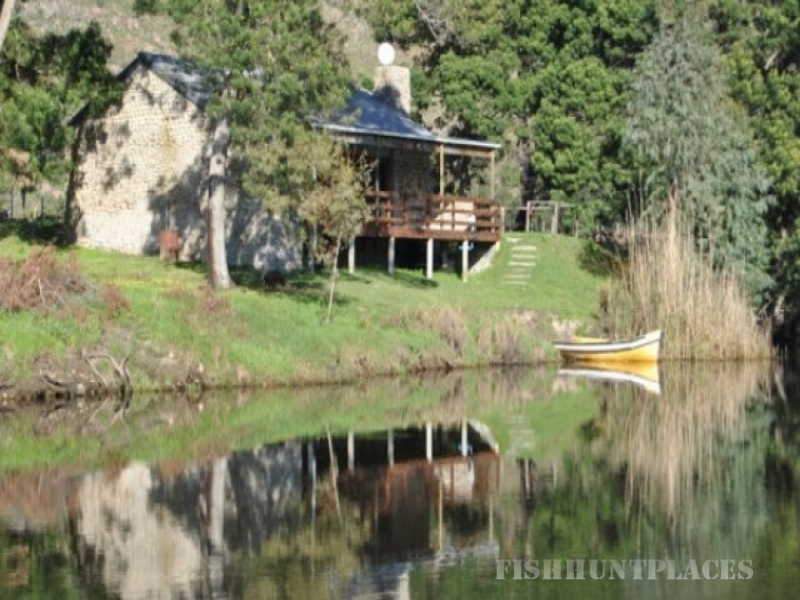 There are five private, safe, free standing, river rock cladded cottages on the edge of the Breede River. The houses are named after the owner's 4 boys: Joubert, Jan Albert, Willem Hendrik and Benjamin.The 5th house is called Coetzer. A great idea is to book all the houses for your birthday and have the party on Coetzer house's deck. Maybe attach a bedouin tent? 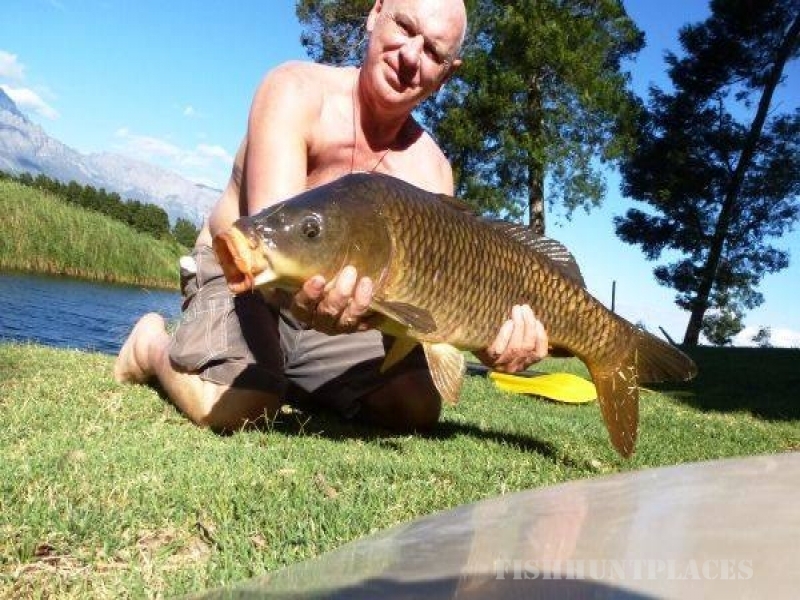 Each secluded unit has its own wooden deck with BBQ/braai area and hot Jacuzzi. Wood burning fireplace in each beautifully decorated living area is ideal for long, cold, romantic winter nights. Fully equipped kitchen with oven, microwave, fridge/freezer, coffee plunger, braai grid etc. Camp Chloe provides two ablution blocks and four sites for caravans/camper-trailers on the river’s edge with a huge blue gum tree. The whole campsite is yours, whether you are 2 or 32 people! No other people sharing bathrooms or the camp area! Only you and your friends! Entertainment and kitchen area with small pool and boma style braai. 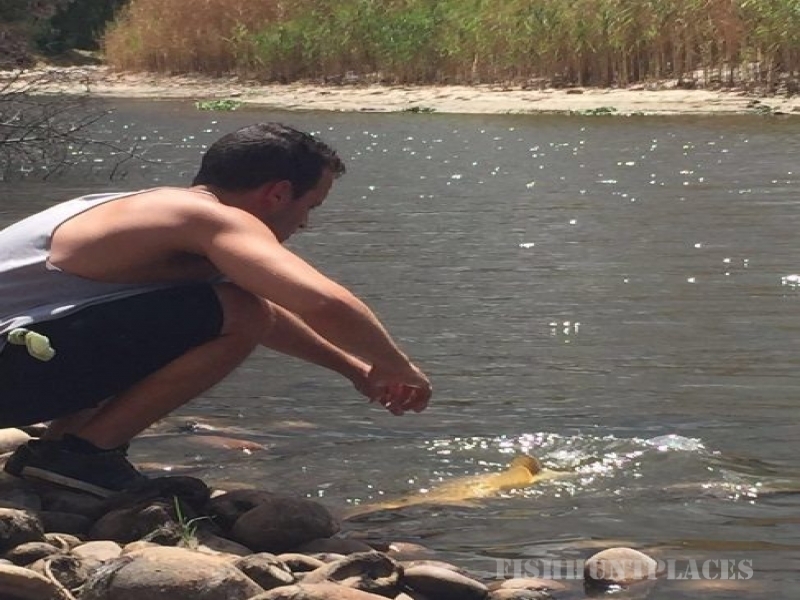 A hidden gem in the Breederivervalley. Pop into the River Edge Accommodation Farm Shop for a different experience! Come and experience our country hospitality at our newly opened farm shop! Free Wi-Fi at the farm shop. Find the perfect gifts in the shop. How to make the most of your stay and capture precious moments is up to you: walk in the mountains with no one around and discover your own Bushman rock art, swim in the Breede River or dip in one of the mountain streams with the kids, early morning birding from a kayak, harvest your own grapes and taste wine, play board games with the teenagers, tractor and trailer ride to the nearest wine farm, read the book that you never have time for, picnic on the river bank with a slack fishing line nearby, a sun downer cruise in an old fashion rowing boat with glass of Sauvignon Blanc in the hand and cheese platter from the farm shop, gaze at the stars and make a wish, cuddle in the Jacuzzi admiring the full moon or you could just simply relax and enjoy the exhilarating peace of this unspoilt paradise from the luxury of your cottage.This resort allows you to experience a relaxing time with your family, loved ones and/or with your friends! We welcome you to join us in discovering this adventurous area and experience for yourself how unique River Edge is with its breath-taking views and silence! Mountain bike route and trail running route on the farm. Kayak and rowing boat at each house. All round mountain views with Fynbos and small wildlife. Scenic drives: Historic Bainskloof pass and Mitchells pass. World class golf courses at Worcester and Ceres 30km. Movies/Cinema at Mountain Mill shopping Mall 30 km. Golden Valley Casino, Worcester 30 km. Cooking classes: learn more about permaculture and pasta making. Wellness centres: Hennelie skin care in Worcester and Lize at Jasons Hill. 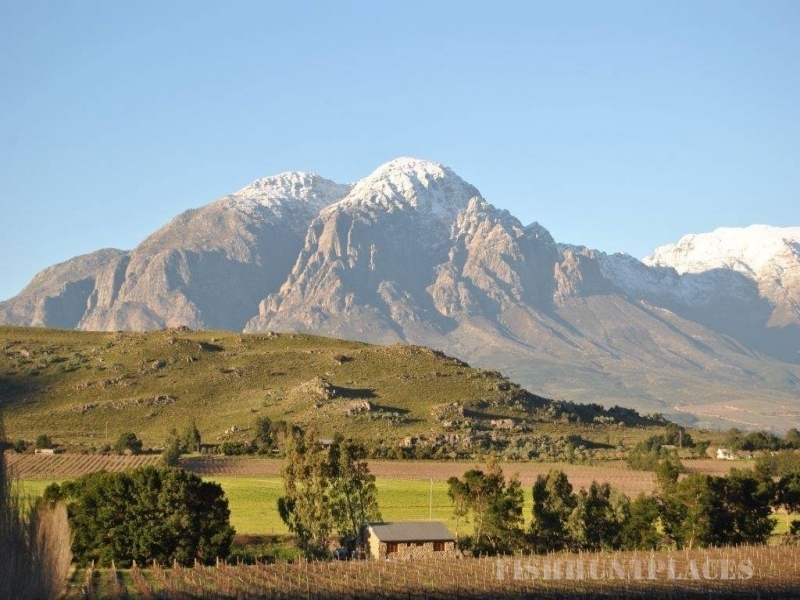 4 x 4 route to Matroosberg to play in the snow – 40 minutes’ drive away. Wine Cellar, Lateganskop, on the farm. Bedouin Tent for rent to attach to Coetzer house to have an intimate celebration function! !